Our organization is helping to reopen the mineral museum in Phoenix. We created a multi-faceted outreach program to fill the void in Earth science education when the mineral museum was closed in 2011. This program has been very successful in providing hands-on classroom instruction and in keeping the spirit of the museum alive in the community! 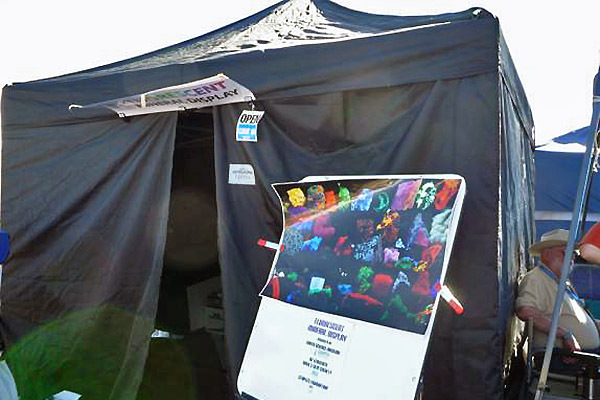 Over the past few years, we provided our free services as a "virtual museum" since we didn't have a physical facility. This will change as the effort to reopen the old mineral museum at the 15th Avenue and Washington Street location gains momentum. Recently, the Arizona Legislature passed Senate Bill 1415 which the Governor has signed into law. This bill transfers the museum building and its assets along with the responsibility of operating the museum to the University of Arizona. We will transition to a different service model as this restoration moves forward. 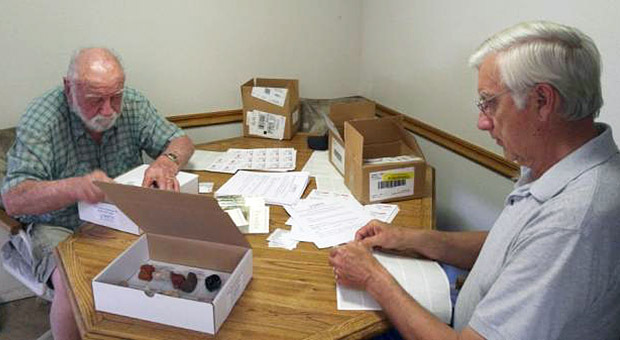 Volunteers at a work day assembled special teacher kits for minerals, rocks, and fossils. 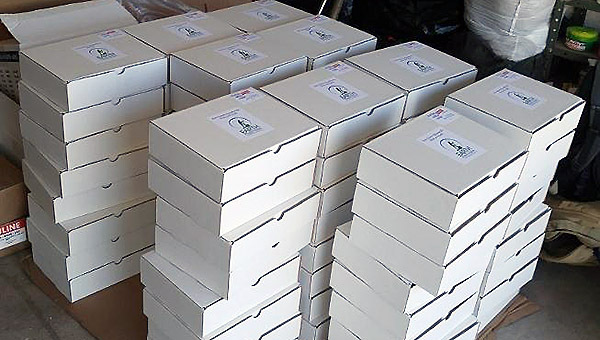 These kits are part of a new science resource lending library program for Title I schools. 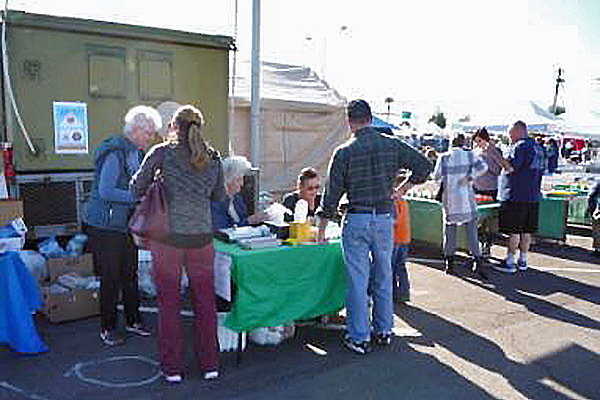 The Flagg Gem and Mineral Show represents our largest community outreach event. 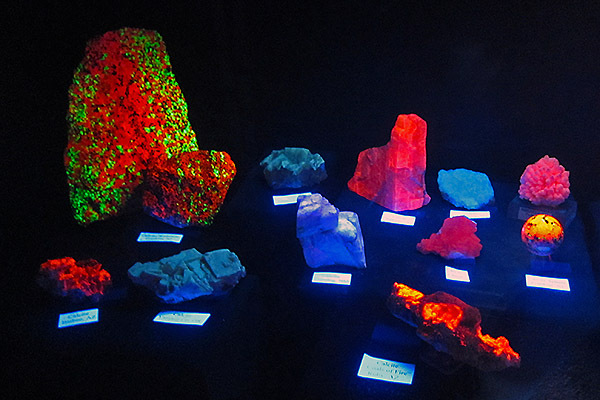 We provide popular activities, such as the "Egg Carton" program where students can create their own personal collection of 12 rock, mineral, or fossil specimens for one dollar and our free fluorescent mineral display. The old mineral museum relied on a dedicated group of volunteers. Their time, talents, and enthusiasm helped create a special place of discovery and learning. Although the concept and development plans for the new museum are not known at this time, we hope that the University of Arizona will consider using volunteers in the restoration efforts. We will monitor museum progress and provide information on possible opportunities for involvement. In the meantime, we need some help in developing our science resource lending library program for Title 1 schools and with community outreach events, such as the Flagg Gem & Mineral Show. The Earth Science Museum (ESM) is a non-profit organization that was founded in July 2011 by members of various Earth science, lapidary, and prospecting clubs that met at the Arizona Mining and Mineral Museum. These members include several volunteers and former staff from the old museum. We envision a community where students and the general public have curiosity about, passion for, and understanding of the underlying principles of earth sciences. Over the years, the ESM has evaluated different private and public approaches to re-establishing a mineral museum in the Phoenix area. Building a new museum, however, involves a huge commitment of time, talent, and resources, and reaching the necessary "critical mass" has been a significant challenge. As a result, we are currently supporting a proposal in which the museum building and its assets along with the overall responsibility of reopening the museum are transferred to the University of Arizona. Please contact us if you have questions, comments, or would like to make a donation or volunteer. © 2011-2017 Earth Science Museum All Rights Reserved.